The Tax Code contains many taxpayer rights and protections. However, because the Tax Code is so large and complex, many taxpayers, who do not have the advice of a tax professional, are unaware of their rights. To clarify these protections, the IRS recently announced a Taxpayer Bill of Rights, describing 10 rights taxpayers have when dealing with the agency. 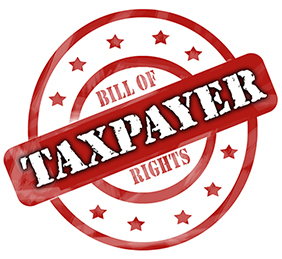 The idea for a Taxpayer Bill of Rights has been percolating for several years. One of the leading proponents has been National Taxpayer Advocate Nina Olson. In January 2014, Olson told Congress that a Taxpayer Bill of Rights was long overdue. Even though the rights already existed, many taxpayers did not know about them. More taxpayer education was needed, Olson emphasized. Olson proposed that either Congress pass legislation or the IRS take administrative action to set out a Taxpayer Bill of Rights. Olson proposed that a Taxpayer Bill of Rights be based on the U.S. Bill of Rights. Olson also recommended that the IRS describe taxpayer rights in non-technical language. Olson’s proposal won support from IRS Commissioner John Koskinen earlier this year. In June, IRS Commissioner John Koskinen and Olson together unveiled a 10-point Taxpayer Bill of Rights. As the IRS Commissioner noted, the Taxpayer Bill of Rights does not create new rights. Rather, the Taxpayer Bill of Rights is intended to serve an educational purpose to help taxpayers understand better their existing rights. The Taxpayer Bill of Rights is highlighted prominently in IRS Publication 1, Your Rights as a Taxpayer. The IRS reported that updated Publication 1 will be sent to taxpayers when they receive notices on issues ranging from audits to collections. Updated Publication 1 initially will be available in English and Spanish, and later in Chinese, Korean, Russian and Vietnamese. Additionally, the IRS created a special page on its website to highlight the Taxpayer Bill of Rights. The Taxpayer Bill of Rights will be displayed in all IRS offices. If you have any questions about the IRS Taxpayer Bill of Rights, please contact our office. 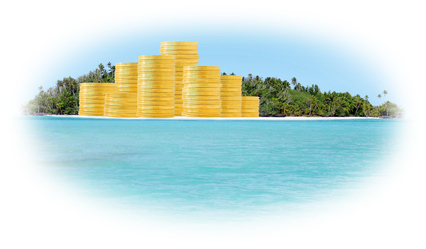 Since 2009, the IRS has operated an Offshore Voluntary Disclosure Program (OVDP) for U.S. taxpayers who have failed to disclose foreign assets or report foreign income from those assets to the IRS or Treasury. The program provides reduced penalties and other benefits, thus giving taxpayers an opportunity to address their past noncompliance and “become right” with the government. The IRS reports that 45,000 taxpayers have made voluntary disclosures since 2009 and have paid $6.5 billion in back taxes, interest, and penalties. In 2014, the IRS made important changes to the OVDP, with the expectation that the revised program will lead to a significant increase in the number of U.S. taxpayers who participate in the OVDP and report their undisclosed foreign assets. U.S. taxpayers, including U.S. citizens living abroad, must report and pay taxes on their worldwide income, including income from foreign assets. Taxpayers must report foreign accounts on Form 1040, Schedule B; if their value exceeds certain thresholds, they must report on Form 8938, Statement of Foreign Financial Accounts. Taxpayers with accounts worth more than $10,000 must report the accounts on the Report of Foreign Bank and Financial Accounts (FBAR), which is filed with Treasury (not the IRS). The IRS provided temporary OVDPs in 2009 and 2011. In 2012, it opened another OVDP that it continues to offer. Under the 2012 program, taxpayers must enter into a closing agreement with the IRS, provide updated returns for the prior eight years, and pay a penalty as high as 27.5 percent. In return, the IRS agrees not to pursue criminal penalties against taxpayers who may have willfully failed to report their foreign assets and/or income. In 2012, the IRS also unveiled a “streamlined procedures” program, with lighter penalties for U.S. taxpayers residing abroad who were nonwillful evaders. The revised streamlined procedures program has been expanded to taxpayers living in the United States. Participants are no longer required to have an unpaid tax balance of $1,500 or less per year. Participants self-certify that their noncompliance was not willful; the IRS will review their circumstances. Taxpayers must pay taxes on any unreported income from the past three years and must file required FBAR reports for the previous six years. Participants living abroad pay no penalty, while U.S. residents pay a miscellaneous offshore penalty of five percent. The OVDP program for potentially willful evaders has been tightened. Taxpayers must provide increased information and must pay the 27.5 percent penalty at the time of application. In light of the expanded streamlined program, the IRS eliminated reduced penalties (five and 12.5 percent) that had been offered to nonwillful OVDP participants. To increase the pressure on nonfilers, the IRS increased the penalty from 27.5 percent to 50 percent for taxpayers who used a foreign financial institution or a facilitator that the IRS or Justice Department publicly acknowledges to be under investigation. Taxpayers are advised to consult with their tax adviser about these programs and choose carefully. A taxpayer cannot participate in both the streamlined and the OVDP programs; it is an either/or proposition. If a taxpayer is confident that his or her noncompliance was not willful, the streamlined program is a reasonable choice. However, this program provides no protection from criminal prosecution, further audits, or proposed tax increases, if the IRS decides that the taxpayer acted willfully. A recent decision by the U.S. Supreme Court clarifies how taxpayers may challenge an IRS summons where the taxpayer claims the summons was issued for an improper purpose. A taxpayer has a right to conduct an examination of IRS officials regarding their reasons for issuing a summons when the taxpayer points to specific facts or circumstances plausibly raising an inference of bad faith, the Court held. The Court took a different approach than one adopted by the Eighth Circuit Court of Appeals, which had brought the case to the Supreme Court. The IRS has many tools in its investigative toolbox. One tool is the power to issue administrative summonses to taxpayers and third parties. The IRS may issue a summons to direct a taxpayer to testify or to produce certain documents. If a taxpayer or third party declines to comply with the summons, the IRS may ask a federal district court to enforce the summons. The IRS must jump through several hoops to persuade a court to enforce a summons. The IRS must show that the summons was issued for a legitimate purpose, the IRS sought information not already in its possession, and the summons met all the administrative steps required by the Tax Code. Once the IRS makes its prima facie showing to enforce a summons, the burden shifts to the third party opposing the summons. Like any power, there is the possibility that the summons power cab be abused and the courts have developed some protections for taxpayers. A court will not permit its process to be abused by enforcing a summons that was issued for an improper purpose. An improper purpose may include any purpose reflecting on the good faith of the investigation. The case before the Supreme Court involved allegations of a summons issued for an improper purpose. The case began when the IRS investigated a partnership. The IRS issued summonses to third parties, seeking certain records related to the partnership and tax deductions it had claimed. One third party declined to give the IRS the records sought by the summons and the IRS asked a federal district court to enforce the summons. Before the federal district court, the third party argued that the IRS had issued the summons for an improper purpose. One allegation the court noted was that the summons reflected retribution for the partnership’s refusal to extend the statute of limitations. The district court rejected the third party’s argument and he appealed to the Eleventh Circuit. There, he was successful. The Eleventh Circuit found that the third party was entitled to a hearing to explore the allegation of improper purpose. The decision by the Eleventh Circuit created a split among the courts of appeal. Other circuits had taken a less expansive view of when a taxpayer would be entitled to a hearing when improper purpose is alleged. The IRS appealed to the Supreme Court, which agreed to review the case. The Supreme Court heard arguments on April 23, 2014 and announced its decision on June 19. Justice Kagan delivered the Court’s unanimous opinion. Justice Kagan explained that as part of the process concerning a summons’s validity, the taxpayer is entitled to examine an IRS agent when he can point to specific facts or circumstances plausibly raising an inference of bad faith. “Naked allegations of improper purpose are not enough: The taxpayer must offer some credible evidence supporting his charge,” Justice Kagan wrote. When the Eleventh Circuit reviewed this case, it did not apply this standard, Justice Kagan wrote. “We have no doubt that the Court of Appeals viewed even bare allegations of improper purpose as entitling a summons objector to question IRS agents. The court applied a categorical rule, demanding the examination of IRS agents even when a taxpayer made only conclusory allegations,” Justice Kagan wrote. The Court vacated and remanded the case to the Eleventh Circuit with instructions to consider the taxpayer’s argument in light of the standard set by the Court. If you have any questions about the Clarke case or the IRS’s summons power, please contact our office. Taxpayers who are self-employed must pay self-employment tax on their income from self-employment. The self-employment tax applies in lieu of Federal Insurance Contributions Act (FICA) taxes paid by employees and employers on compensation from employment. Like FICA taxes, the self-employment tax consists of taxes collected for Social Security and for Medicare (hospital insurance or HI). The self-employment tax is levied and collected as part of the income tax. The tax must be taken into account in determining an individual’s estimated taxes. The self-employed taxpayer is responsible for the self-employment tax, in effect paying both the employer’s and the employee’s share of the tax. The tax is calculated on Schedule SE, filed with the individual’s income tax return, and is then reported on the Form 1040. The self-employment tax rate is 15.3 percent of self-employment income. This is the same overall percentage that applies to an employee’s compensation. The rate combines the 12.4 percent Social Security tax and the 2.9 percent Medicare tax. Self-employed individuals can deduct one-half of the self-employment tax. (For 2011 and 2012, the Social Security tax rate was reduced from 12.4 to 10.4 percent.) If the individual’s net earnings from self-employment are less than $400 (or $100 for a church employee), the individual does not owe self-employment tax. Like FICA taxes, the 12.4 percent Social Security tax only applies to earning up to a specified threshold. For 2013, this threshold was $113,700; for 2014, the threshold is $117,000. There is no ceiling for applying the 2.9 percent Medicare tax. The tax applies to net earnings from self-employment. This is the taxpayer’s gross income for the year from operating a trade or business, minus the deductions allowable to the trade or business, plus the taxpayer’s distributive share of income or loss from a partnership. A person is self-employed if he or she carries on a trade or business as a sole proprietor or independent contractor. A general partner of a partnership that carries on a trade or business is also considered to be self-employed. Self-employment does not include the performance of services by an employee. However, an employee who also carries on a separate business part-time can be self-employed with respect to the business. Effective for 2013 and subsequent years, both employees and self-employed individuals must pay an additional 0.9 percent Medicare tax if their FICA wages or self-employment income exceeds specified thresholds $250,000 for joint filers; $125,000 for married filing separately; and $200,000 for all other taxpayers. This tax is determined on Form 8959. The simple concept of depreciation can get complicated very quickly when one is trying to determine the proper depreciation deduction for any particular asset. Here’s only a summary of some of what’s involved. The modified accelerated cost recovery system (MACRS) is generally, but not always, used to depreciate tangible depreciable property placed in service after 1986. The MACRS deduction is computed on Form 4562, Depreciation and Amortization. Intangible property may not be depreciated under MACRS, but it may be amortized in certain situations. Real estate may not be depreciated, but buildings situated on it may. Sound recordings, films, and videotapes are specifically excluded from MACRS, but may be depreciated using the income forecast method. Deprecation for financial accounting book purposes is generally not the same as tax depreciation. Under MACRS, property placed in service and disposed of in the same tax year is not depreciable. Property converted from business use to personal use in the tax year of acquisition is not depreciable. The cost of tangible depreciable property also may be deducted immediately if the business and the asset qualifies for Code Section 179 expensing. Bonus depreciation, in years that Congress makes it available, is also available, taken first before the asset’s remaining value is depreciated under MACRS. In order to compute depreciation under MACRS, the asset’s MACRS property class must be determined. The asset’s recovery period (i.e., its depreciation period), applicable depreciation method, and applicable convention depend on the asset’s property class. Under MACRS, an asset’s property class is based on either the type of asset or the business activity in which the asset is primarily used. The key resource for determining an asset’s property class is the asset classification table contained in Revenue Procedure 87-56. The cost of property in the 3-, 5-, 7-, and 10-year classes is recovered using the 200-percent declining-balance method (i.e., the applicable depreciation method) over three, five, seven, and ten years, respectively (i.e., the applicable recovery period), and the half-year convention (unless the mid-quarter convention applies), with a switch to the straight-line method in the year that maximizes the deduction. The cost of 15- and 20-year property is generally recovered using the 150-percent declining-balance method over 15 and 20 years, respectively, and the half-year convention, with a switch to the straight-line method to maximize the deduction. 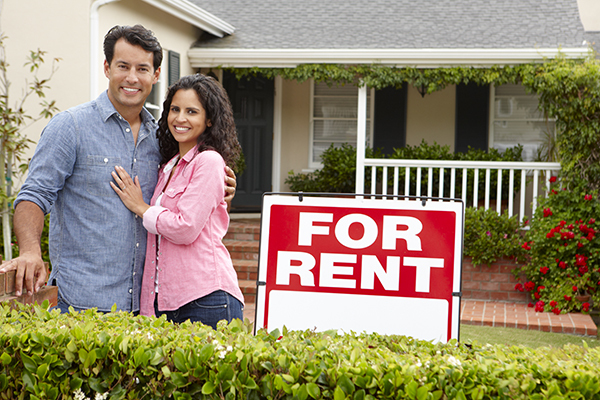 The cost of residential rental and nonresidential real property is recovered using the straight-line method and the mid-month convention over 27.5- and 39-year recovery periods, respectively. For more specific information on the amount of depreciation you may take for any business asset you own or plan to purchase, please feel free to contact this office. 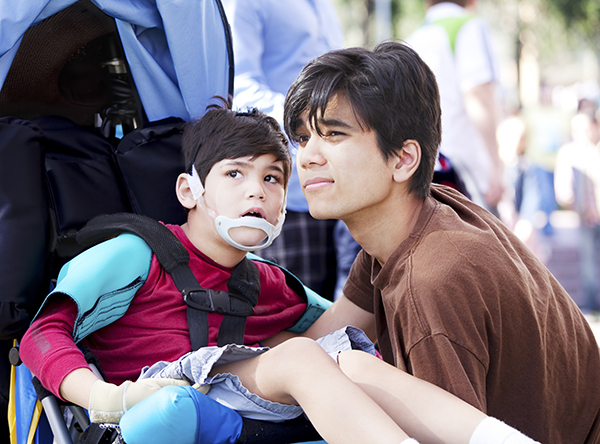 Property owned by a nonprofit organization and used as a retreat by children with life-threatening illnesses and their families qualified for a charitable purposes exemption from New Jersey property tax. Pursuant to N.J.S.A. 54:4-3.6, exempt property must be organized exclusively for the moral and mental improvement of men, women, and children. According to the taxpayer’s bylaws, the organization’s purpose was to establish moral and financial support to help the needy, disabled, and terminally ill and their families with no regard to race or religion, which was consistent with the “moral and mental improvement” provision under the statute. The taxpayer also met several factors enumerated in case law. It did not engage in a commercial enterprise because it did not accept any money from individuals using the property; the property was used in a manner to further the taxpayer’s charitable purpose of providing support for seriously ill children and their families; and the use of the property as a retreat assisted siblings and parents of children with life-threatening illnesses in coping with family grief. Lastly, the use of the property to help children with life-threatening illnesses and their families furthered the important governmental concern of fostering the family unit. To qualify for the exemption under the statute, the property also had to be reasonably necessary to effectuate the taxpayer’s beneficent purpose. The taxpayer demonstrated a clear need for the use of the property as a retreat for parents and siblings of children with life-threatening illnesses. Therefore, the retreat’s location, premise and property were reasonably necessary to provide distressed families with support. Newly released data from the IRS reveals an increase in adjusted gross incomes, the number of taxpayers paying alternative minimum tax (AMT) and more. The data, posted in the Spring 2014 Statistics of Income Bulletin, comes from 2011, the most recent year for which statistics are available, the IRS reported. Approximately 145 million individual income tax returns were filed in 2011. Overall, adjusted gross income for all taxable returns was $7.7 trillion, reflecting an increase of approximately six percent from 2010. The IRS reported that the top one percent of returns had an adjusted gross incomes of $388,900 or more and accounted for 18.7 percent of total adjusted gross income for 2011. Total income tax paid for 2011 exceeded $1 trillion. Taxpayers claimed $73.6 billion in tax credits in 2011. This represented a decrease of 35.2 percent from the $113.6 billion of credits claimed in 2010, due to the expiration of the Making Work Pay Credit, the IRS explained. The IRS also reported an increase in noncash contributions to charitable organizations. More than 22 million taxpayers reported a total of $43.6 billion in deductions for noncash charitable contributions. For 2011, the IRS reported that AMT liability increased 11 percent to $30.5 billion from $27.5 billion in 2010. The number of returns paying AMT increased by 0.2 million. Alternative minimum taxable income (AMTI) for all returns filing Form 6251 increased 12.6 percent to $2.3 trillion from 2010. Since 2001, the number of returns paying AMT more than tripled from 1.1 million to 4.2 million for 2011, the IRS reported. As required by the Tax Reform Act of 1976, the IRS reported statistics relating to that the number of 2011 returns with expanded-income over $200,000. Expanded income is AGI plus many deductions, credits, and exclusions that would not otherwise be factored into AGI, such as tax-exempt interest, nontaxable Social Security benefits, foreign-earned income exclusion, and certain miscellaneous itemized deductions. The number of expanded-income returns increased by 9.4 percent to 4.8 million for 2011.